Cream criss-cross-grain cloth. Black and red stamping on front. 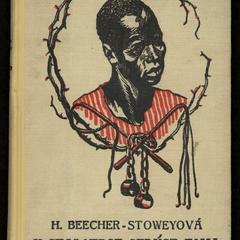 Black stamping on spine. Blind stamping on back. 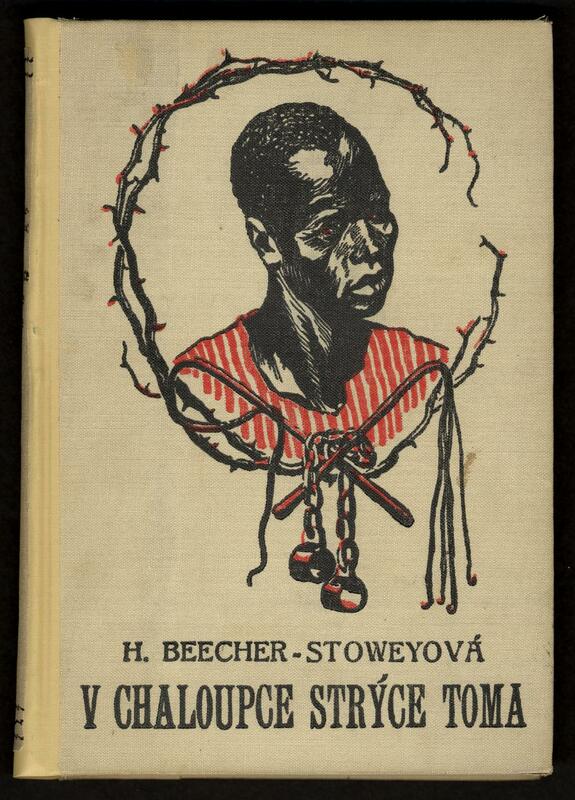 Book topics: Slavery--United States--Fiction; Children&apos;s literature, Czech--Translations; Children&apos;s literature, English--Translations into Czech. Height: 23 cm. ; Width: 16 cm. ; Depth: 2 cm.